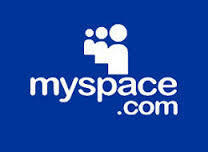 Are you neglecting Myspace in your social media background search? It’s less fruitful since the format changed from engagement with friends to music sharing, but it’s still a repository for old photos and may be where you find those when other sites fail you. Myspace has since been supplanted by Facebook — where users post old and new photos of themselves, family, friends and coworkers, and picturebook their vacations — as the share-all gathering site. The Myspace people search is much more rudimentary than the former site’s search engine, which enabled a search by email. So now it’s less likely that you will be able to uncover a profile. The blog content has been also been removed, leaving the profile photo, user name and sometimes the location as the remaining content. Search a name by selecting “All” and then the “People” column. You’ll be able to scroll though all the profile photos. The old Myspace profile URL’s work, too, if you have that. Hover over the image to get more information. And what about Flickr? 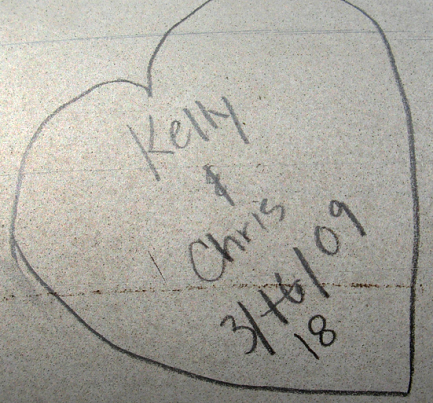 Any site that was long ago popular with online users is a likely repository of old photographs. 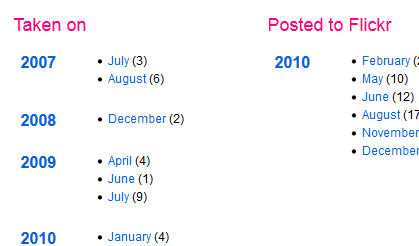 Hey, when the school yearbook is too historical, try the Flickr advanced search, which has a date field. 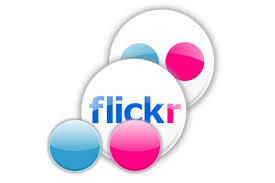 Or search by Flickr members and then limit the photo selection by date. 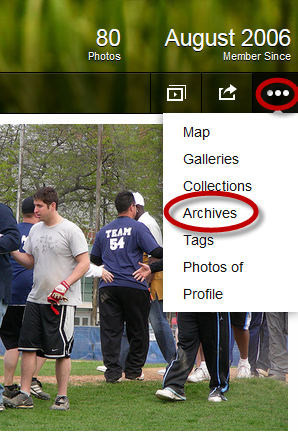 After you get to the profile you want to view, select “archives” in the drop down menu, which will take you to a page with images listed by date taken and uploaded. When you search the subscriber name, try it both with the first and last name as one string (“chriscooke”) and as two words (“Chris Cooke”) because you’ll get different results. And, as with Instagram searches, you’ll find clues to events, interests, relationships and other user names that supplements what you may find on Facebook. The Flickr photostream also functions like Instagram. You have to click through the photos to get the associated text. Note the user name and other personal details because these may help you find the corresponding Facebook profile. But before you jump to Facebook, look, look, look at the Flickr images. In this case, the Flickr photos showed various activities and had key information that I could cross reference in matching this person with a Facebook profile. It turned out that the Facebook albums were all baby photos. See what you could have missed? 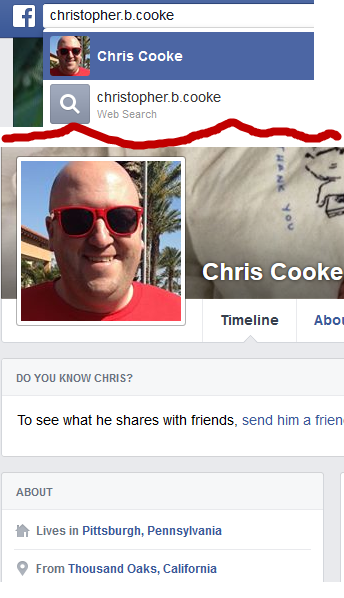 I entered his full name as it appeared in the Flickr account into the Facebook search bar and got lucky. The first profile was his. 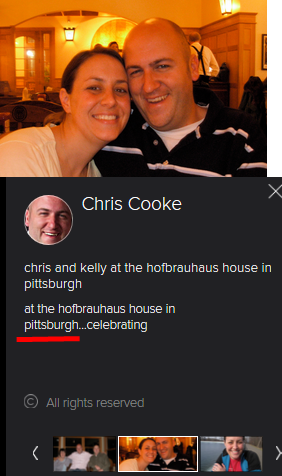 His wife’s name and their location in Pittsburgh were a match on both sites. And so were his looks.